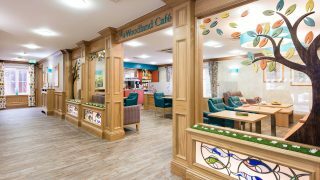 Anya Court, our care home in Rugby, is hosting an afternoon tea event for members of the local community on Thursday 16th August from 2pm-6pm. 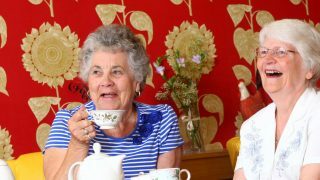 To celebrate National Afternoon Tea Week which runs from Tuesday 14th August, our residential and dementia home will host traditional afternoon tea with finger sandwiches, scones and Pimms in our homes Juke Box café. There will also be a cake decorating table where all those attending can decorate a fairy cake that has been baked by our residents to enjoy or take home. At 3pm, the home will also be showing a sing-along version of The Sound of Music in the cinema for guests to join in. If you would like to RSVP to this special event, please contact Customer Relationship Manager Karen Handley on 01788 811976 or email Karen.Handley@hallmarkcarehomes.co.uk. Please note there is a suggestion donation of £5 for all visitors which will go towards our care home’s chosen charity, Alzheimer’s Research UK. Location: 286 Dunchurch Road, Rugby, Warwickshire, CV22 6JA.